Apectomy means the removal of the root apex of the dental root from the bone – while taking care of saving the tooth. The treatment is executed in case of teeth with root canal filling. the (above mentioned) instruments break into the root canal. The operation is executed after root canal filling, with local anaesthesia which can be carried out before or even during the operation. 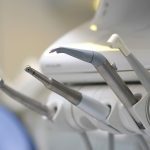 The dentist creates a gingival flap then sets free the bone, that covers the root apex, with a bone cutter (or an osteotome) and removes the freed root apex (at least 3 mm of it) and the possible inflamed tissue. If necessary synthetic bone graft needs to be filled in this gap. The wound is closed with sutures that are removed a week after the intervention. The tooth will be symptom-free and operable again in 4-6 months. It is recommended to have an X-ray based check-up in every half year afterwards. Apectomy may be a last chance to save the tooth from final removal; the chance of a successful operation is 60%. The inflammation around the root apex may not subside if an abscess evolves again. 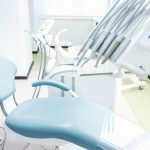 This is why it is advised to have a check-up in every half year; thus the dentist can follow up the process of the healing and the ossification with the help of X-ray images. Other potential complications: injury of the gum, crack on the side of mouth, herpes around mouth or swollen face at the surgical area.